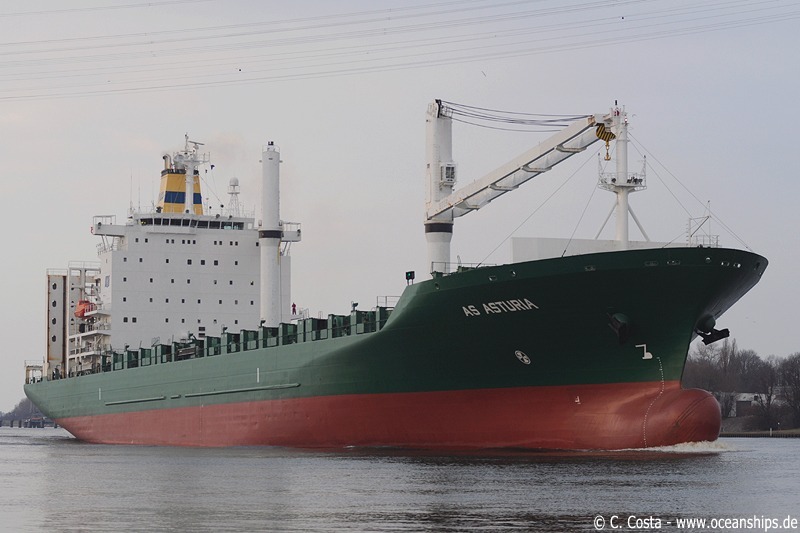 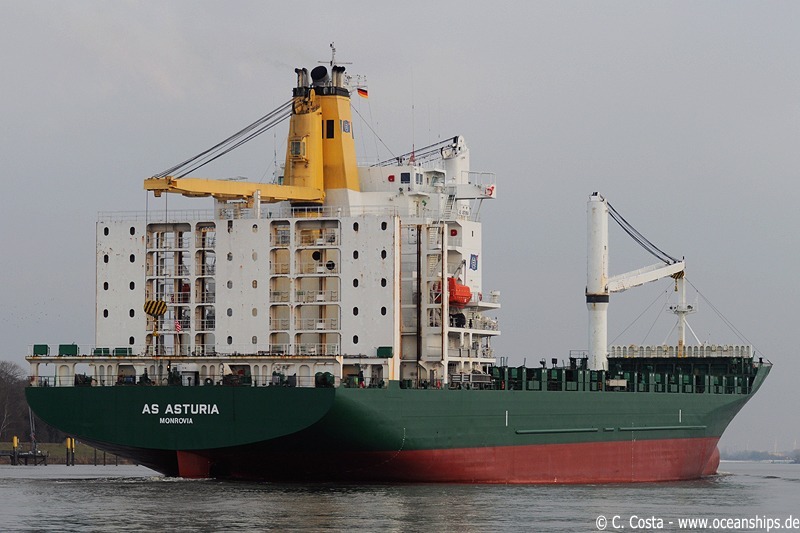 AS Asturia is passing Bremen-Farge on February 19th, 2010. 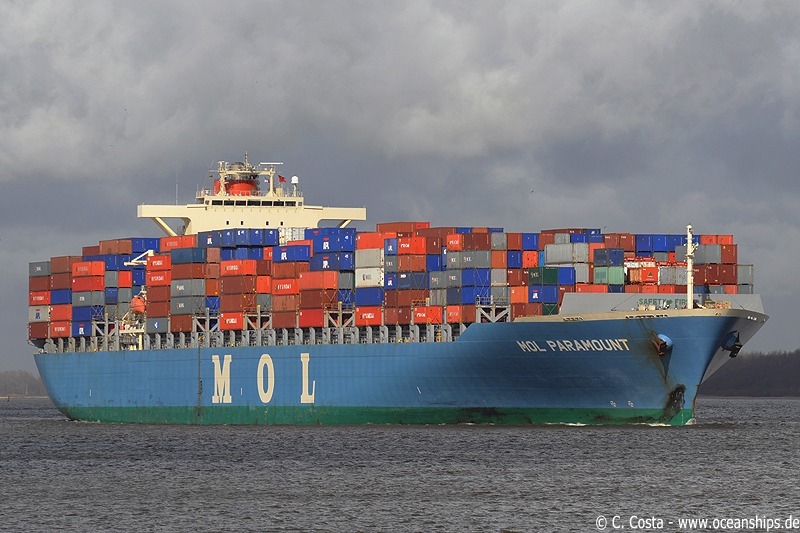 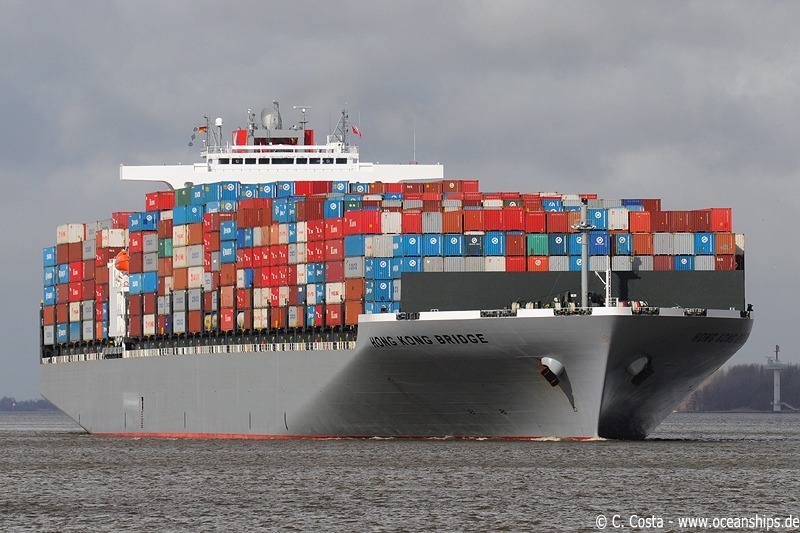 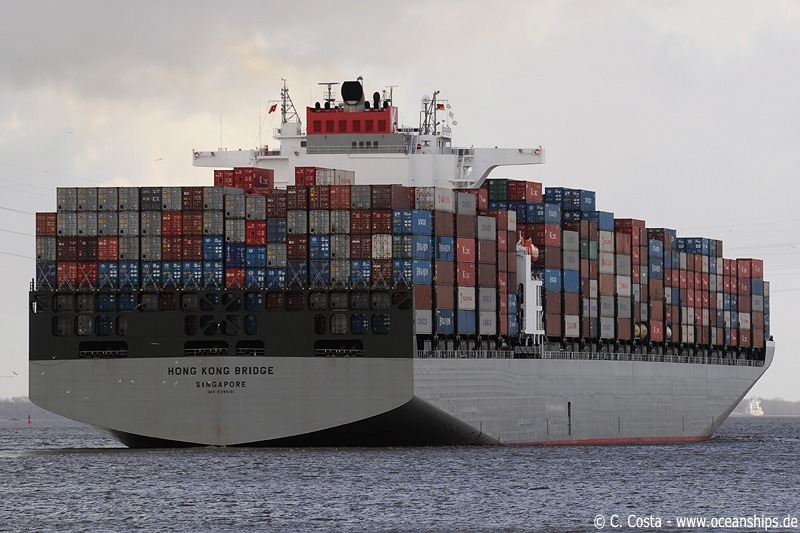 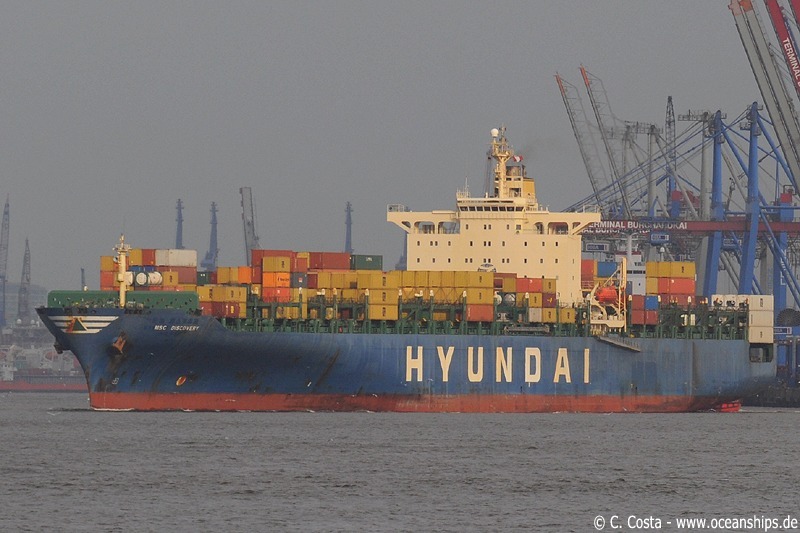 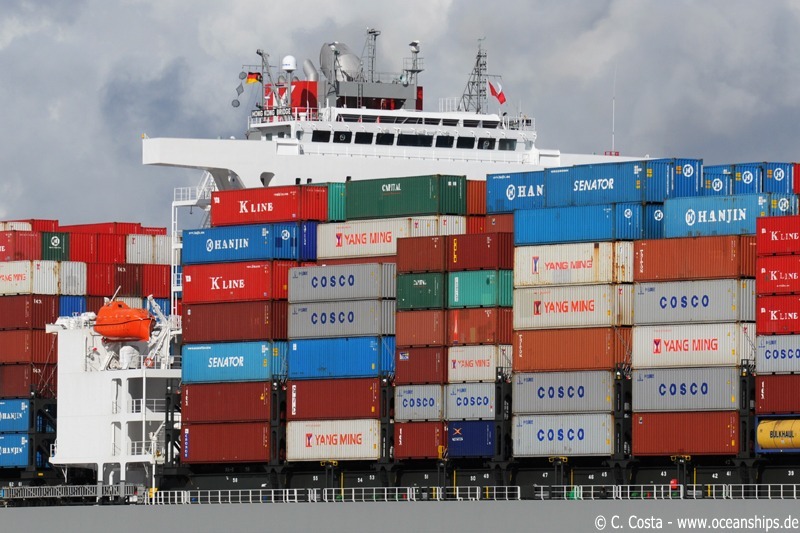 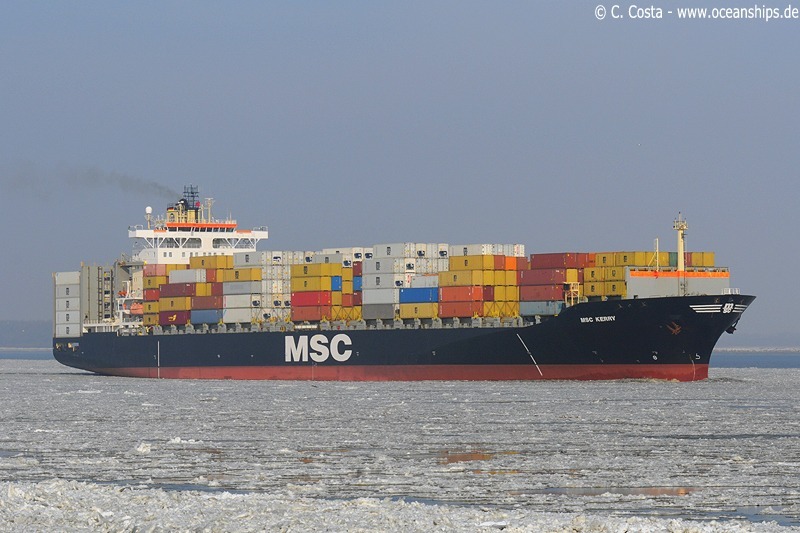 Nice for photographers to see a container vessel on the river Weser, but very hard for the owner: The vessel is bound for Bremen Neustädter Hafen, where it will be laid up. 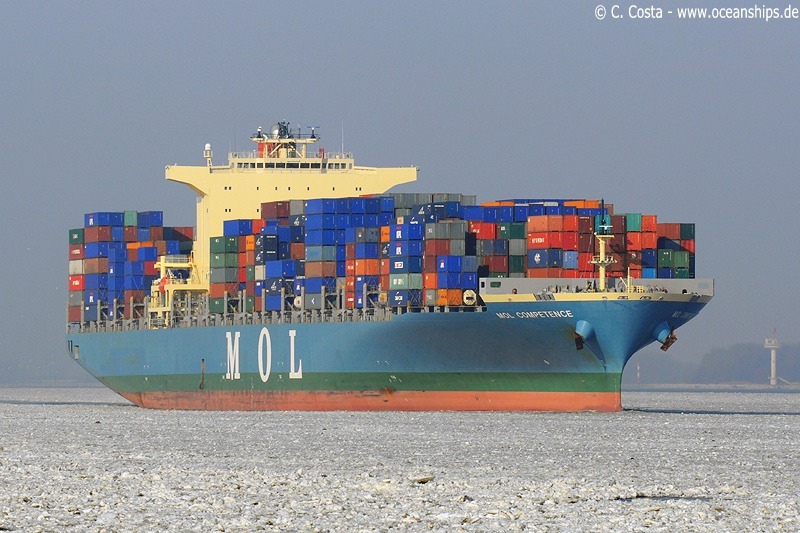 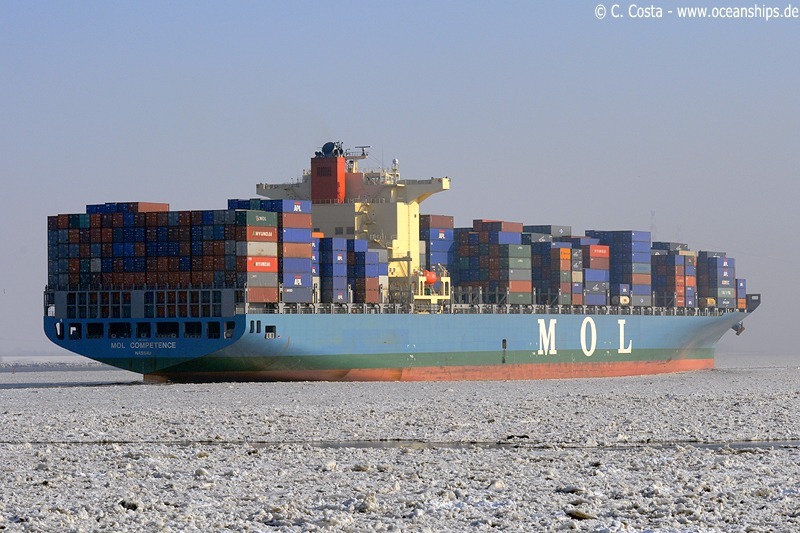 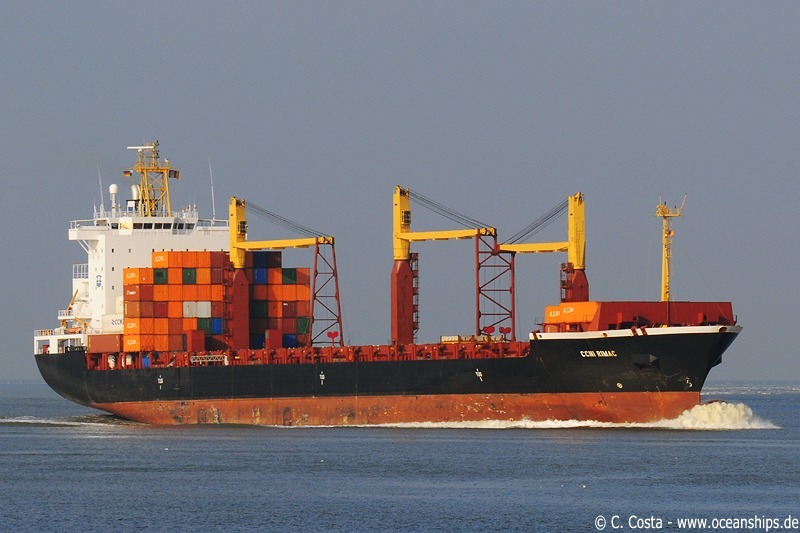 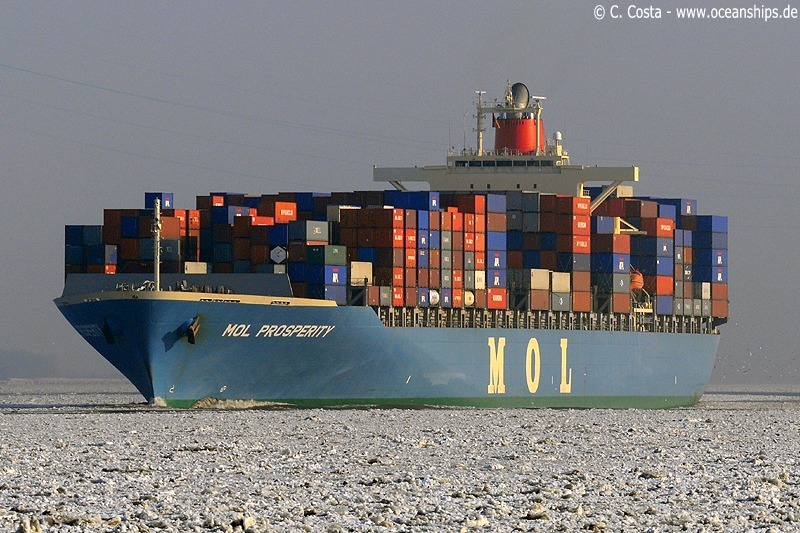 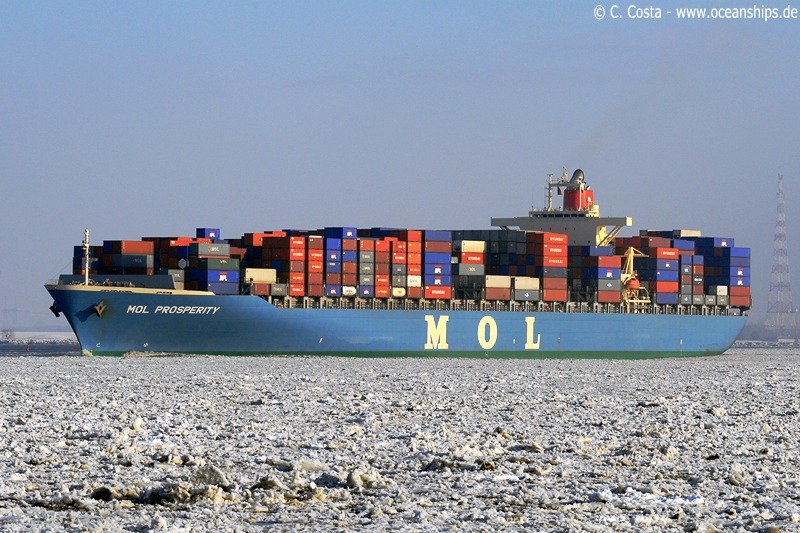 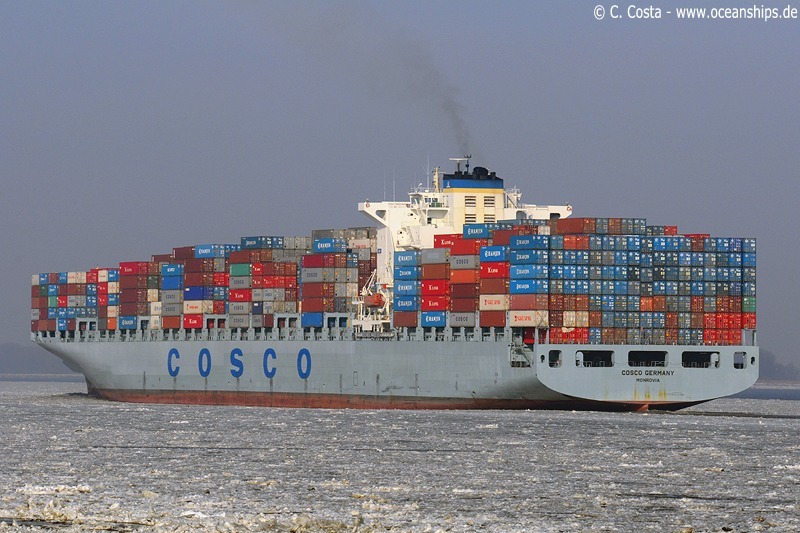 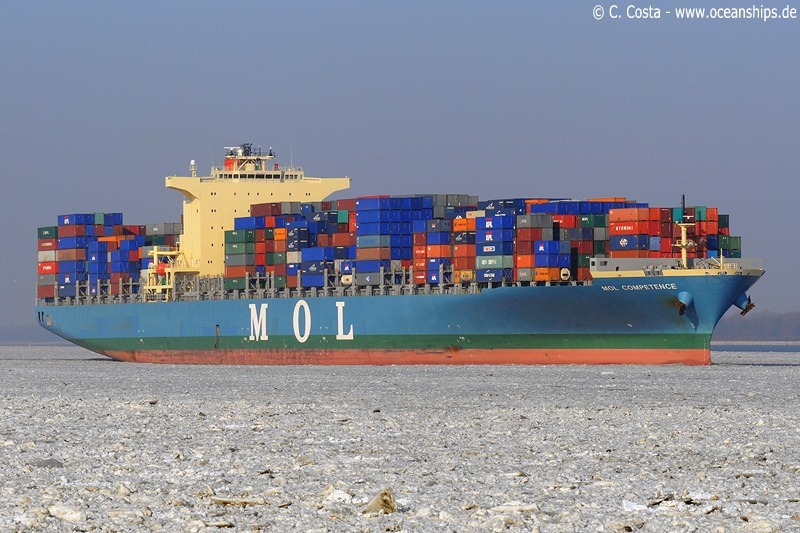 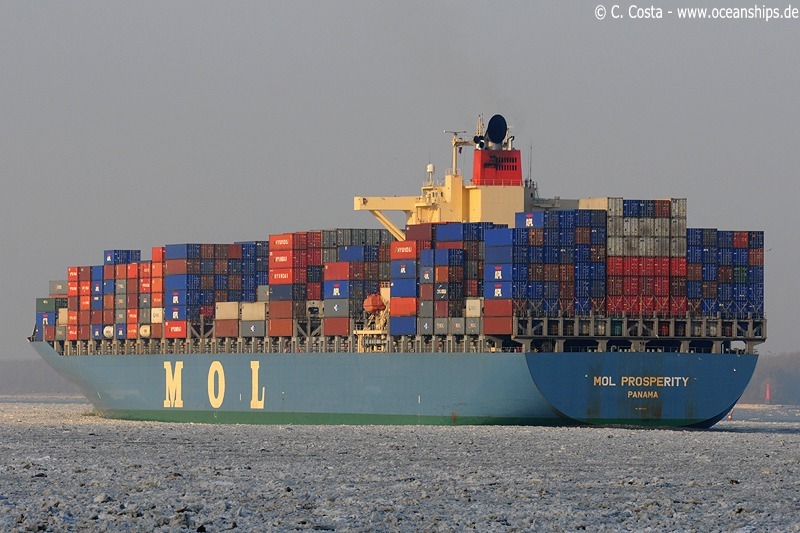 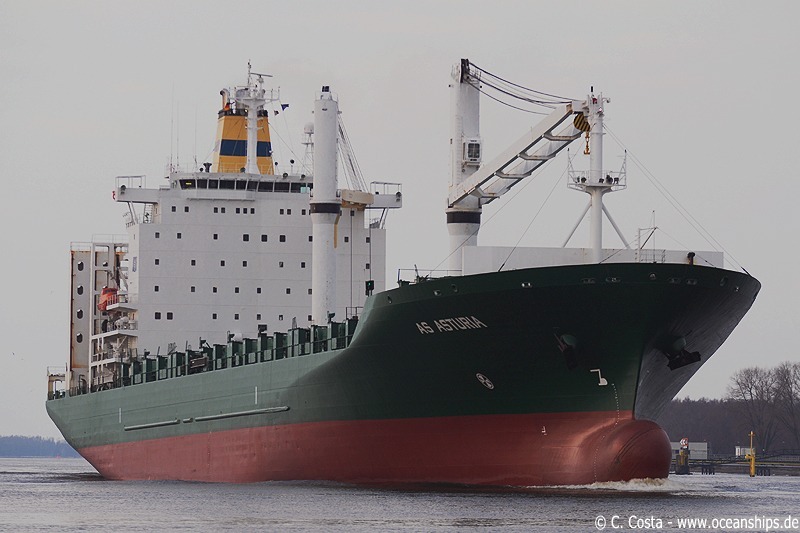 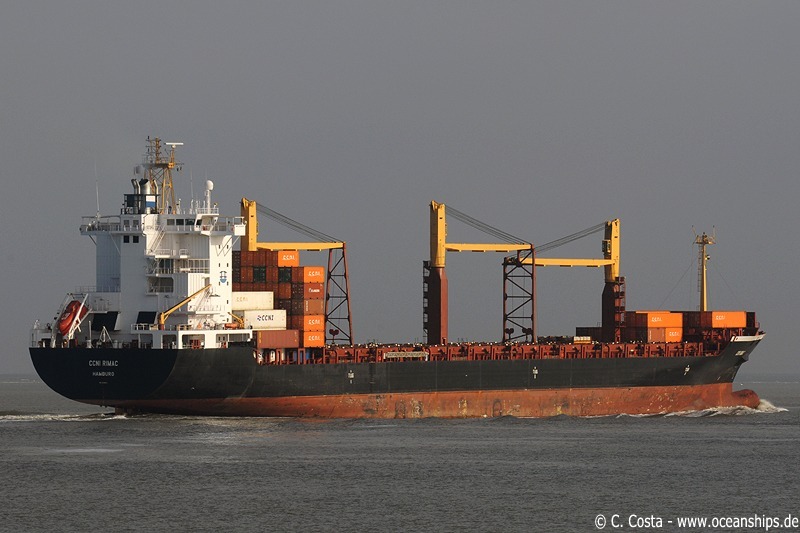 Cosco Germany is passing Stadersand through the icy waters of the river Elbe on February 17th, 2010. 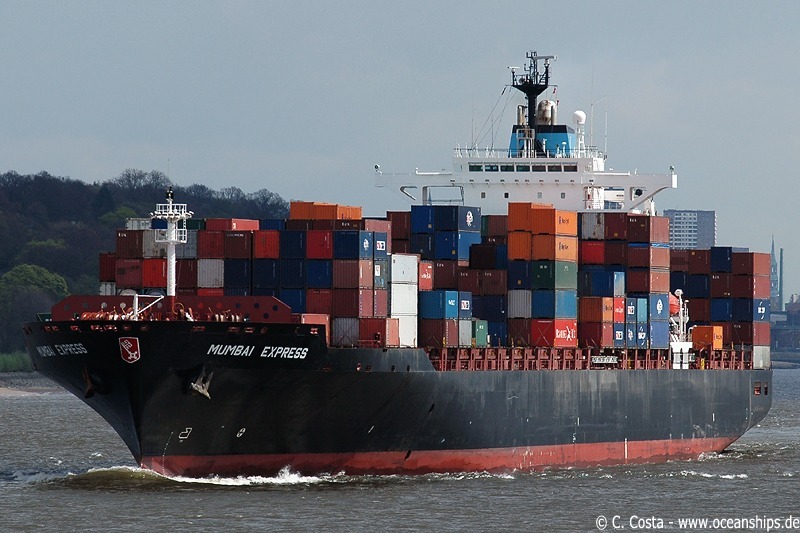 Mumbai Express is leaving Hamburg on April 28th, 2006. 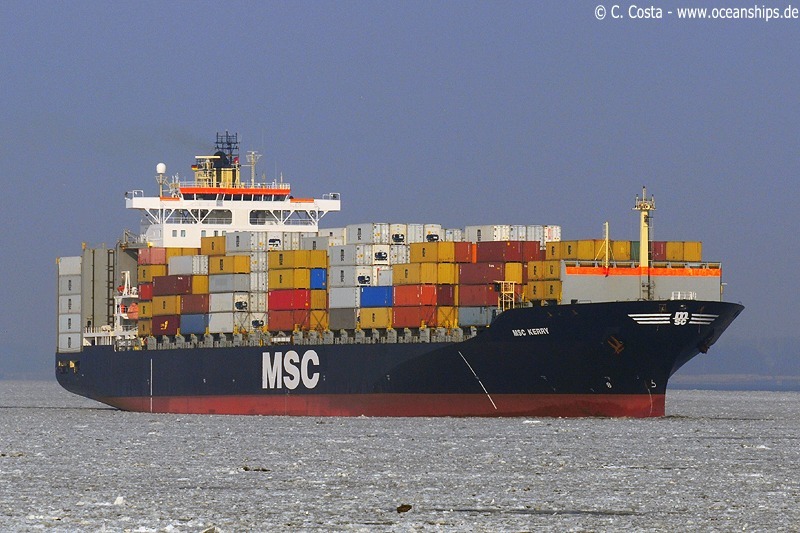 MSC Discovery is leaving Hamburg on September 09th, 2009.